Features 100% brand new ! Disposable syringe, without hypodermic needle, very convenient. Suitable for measuring hydroponic nutrient, solution preparation, and any other conditions that need an injector, etc. Various volume & quantity to satisfy your demand. Specifications Material: Plastic Quantity: 10 Pcs Volume: 1 mL Length: About 9.8cm / 3.8" Attention No needle! Please allow small length deviations due to human measurement. 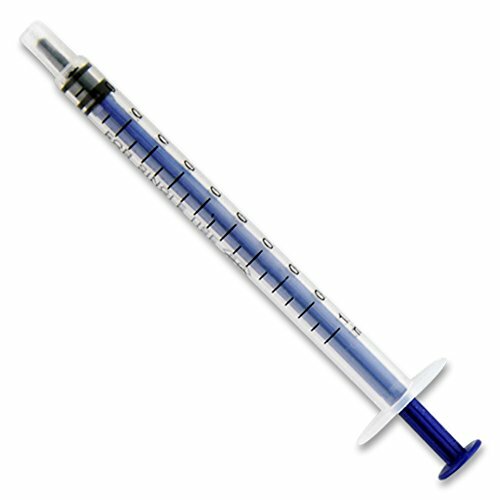 We ship your products not individually packaged, so these syringes are not fit for medical purpose.